It felt like there was more music per square decibel in 2018 than any year before it, right? Quantity doesn’t mean quality of course but so many great records were released, a new album-of-the-year contender almost every week. Well time and release schedules wait for no one and this year looks like it might be similarly stacked. There’s no way anyone, especially not Moderate Rock, can keep up with it all but while the records that make the deepest mark often come from out of nowhere, below are some of the things we’re eager to hear this year. Alphabetical order. ALEXISONFIRE: The much-missed Canadian crew were on last year’s preview here but mostly out of hope rather than hype. They’re back on the list this year but something seems… different. BARONESS: ‘Purple’ was Baroness at their best but the addition of guitarist Gina Gleason and hints at a new dynamic should have you giddy for where the Georgia outfit go next. CODE ORANGE: The Pennsylvania outfit promise to continue their perversion of heavy music with album number four. Expect madness. DEFTONES: Fair warning, I loved ‘Gore’, so I’m not among the people looking for Deftones to atone for anything with their next record. But if the numerous requests for more riffs did reach the band’s ears and does result in something harder-edged and more dynamic, I’m all for it. EVERY TIME I DIE: On this list last time around, Every Time I Die bucked their trend of an album every two years to take in the rapturous reception to ‘Low Teens’ a little longer. Fair enough, but now get back to bloody work boys! 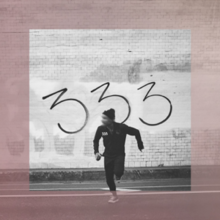 THE FEVER 333: When The Fever release their debut album, ‘Strength in Numb333rs’, next week, the potential is there for a Rage Against the Machine-sized impact. Fiery former Letlive frontman Jason Aalon has poured everything into this. GLASSJAW: I mean, I’m more interested than excited. Will Glassjaw double down on the power and groove that so characterised their 2017 comeback, let a little light back in, or find somewhere new to shimmy. Will it happen this year? Will it ever happen? HUNDRED SUNS: It’s maybe new Hundred Suns or new Norma Jean, not both, but if either can match their outstanding most recent work we’re in for a treat. KNOCKED LOOSE: The people demand riffs. And you’ve got to believe that Knocked Loose will deliver. THE MOVIELIFE: The band’s latest (third? fourth?) reunion yielded arguably their best record but it’s not clear if it moved any needle enough for another go around. Here’s hoping. OATHBREAKER: Following up something as significant and special as ‘Rheia’ seems so daunting to me. But that, among many other reasons, is why i’m sat here googling new Tool album rumours and not a member of Oathbreaker. Album number four should arrive this year. THUNDERCAT: It might be too soon after 2017’s outstanding ‘Drunk’ for a man as in-demand as Stephen Bruner to concoct a follow-up but if the stars do align you’ll be able to feel the groove two months from the release date. VENOM PRISON: Venom Prison’s debut was aggressive, refreshing quality. Still, the Welsh wonders feel like one of those bands primed to take a major leap. Their second album is due out February 15th via Prosthetic Records. Exciting times! And that’s without talking about the potential of new music from Killswitch Engage, Slipknot and, sigh, Tool too. Don’t hesitate to @ me if there’s anything missing that it’s pretty obvious I would dig.